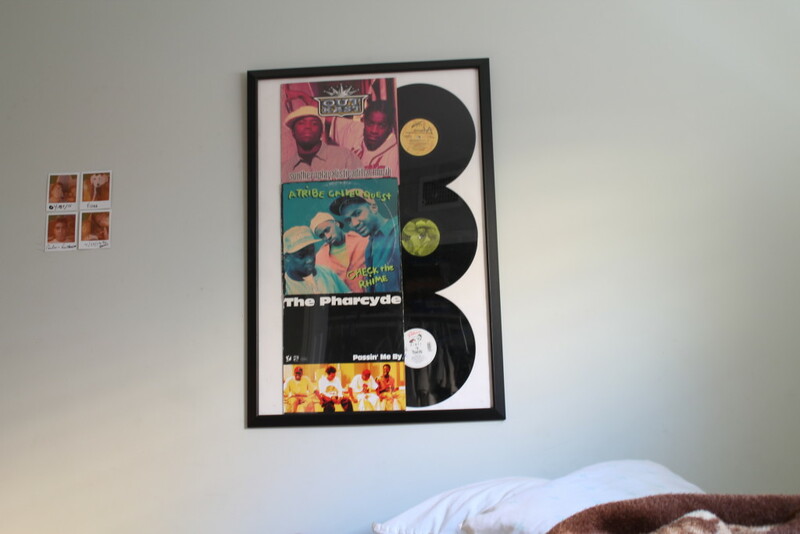 If you stumbled upon the Music section of this blog, then it is safe to say you are a music fan; and if you are a music fan you know that vinyls, and record players are trending right now. Whether you are someone who collects vinyls or know someone who does, you have at least come across one record. If you do collect them, and you are reading this article then you will have appreciation and maybe even an interesting story to share about your first vinyl purchase. If you don’t collect them, my only goal is to inspire you to experience the satisfaction of purchasing a vinyl and finding somewhere to play it. The anticipation felt when you are sitting waiting for the needle to catch the grooves of the record to start the song, is comparable to the feeling of waiting for your favorite group or artist to begin. When walking into your local Urban Outfitters you might have seen their section on vinyls. They have an array of records usually of recent artists, but you are bound to stumble upon Dr. Dre’s album, ‘The Chronic’ once in awhile. With that being said, UO should not be the place where you get your records. Although I myself am guilty of purchasing a Lana Del Rey album from the establishment, the true exhilaration comes from walking into your neighborhood music store, or scoping out yard sales, to find a record that fits you. The best part about “Crate Digging,” is you never know what you’re going to find. There may be a time when you might be searching for a specific record, but then the wonderful artwork of a totally different vinyl catches your eye. Sometimes the artwork alone can be enough incentive buy a record. 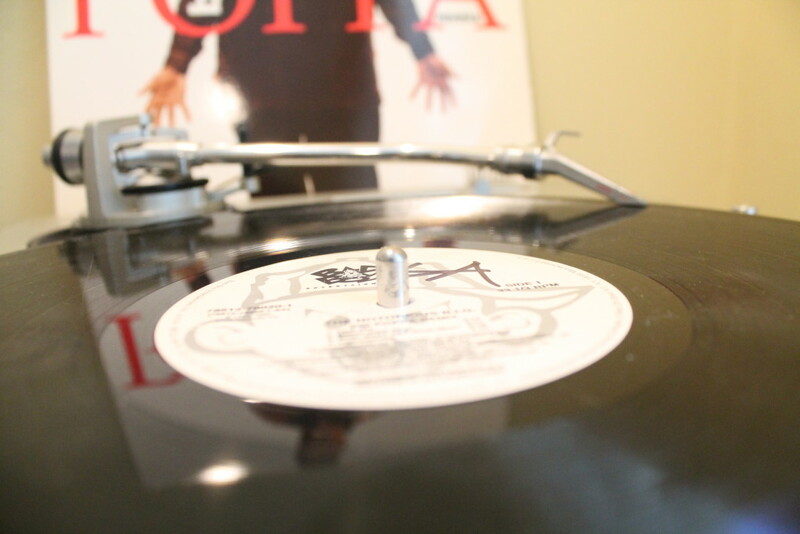 Anyway, after you buy the unexpected record that visually spoke to you , you move your curiosity to the record player. And that is where you hear your hard work pay off! The music gives life to the artwork that caught your attention. Whether it is a saxophone on the cover, or a rapper, or band each record tells a story, and the music is its narration. Crate Diggin’ 808: Not all of the best records cost a lot of money. There are many great gems that you can find for under $10. Heck, even under $5! I’m wrapping up this post by introducing ‘Dad’s Crate.’ My father, let’s call him DJCQ, was in fact a DJ as a young adult. He used to scratch on turntables and everything. He has Technics 1,200, which are the model of his turntables. Being a DJ in the 80’s to early 2000’s, he acquired many vinyls, and used to spin at parties and events. Now being in his mid-forties he has no use for them, and as a music fanatic I have begun listening to every single one. For everyone I like I plan to share with all of you once a week. Come back and check out the ones I choose. Please share your favorite records, places to buy records, and any stories about purchasing your first record. Thank you for reading and I am excited to see what you all have to share!